Occasional updates from the frontier of comedy in Nottingham. These are the assorted ramblings of MissImp players, jammers and dudes who enjoy improv. You’ll get improv theory, show reviews, jam accounts and some personal stuff too. While you’re there, you might also wanna take a peek at this month’s LeftLion The Goose Is Loose comic, written by Nick (and beautifully inked by Ryan Orridge). Brought to you by Liam. The truth is something we see pummelled, beaten and destroyed every day. The least we can do is fight back through improv. This week we’ll be working on listening and responding truthfully and faithfully to your character and to the moment! Y’know, the exact opposite of being a politician. The jam is brought to you by Parky. Every four weeks, we turn up at Gorilla Burger to enjoy a lot of silly shortform games. But what are the games for? How do they work? And what is it that makes them funny? This week we’ll be playing a load of shortform games. However, we’ll be dissecting them, giving each other feedback and trying to get the bottom of how they work and how to play them well. Expect side-coaching and instruction on how the games work (and sticking to the rules can be crucial) and how to make them sing with joy. This week’s jam: Who? What? Where? If you’ve ever seen a good improv scene, the chances are you enjoyed it because it had interesting characters in a nice relationship. Finding out who people are in a scene, what they are doing and why they are doing it is generally much more interesting than watching a couple of people just doing a thing. So, this week we’ll concentrate on establishing some basic information early. Who are you both? Where are you? And what are you doing? By doing this, not only will you and your scene partner have a firm foundation for the rest of your scene, but you will give each other some lovely gifts. And, the audience are likely to be more invested in what unravels. The jam is brought to you by Nick. Everything is better pushed to extremes, food, sport, gnomes. It makes sense that improv will also be even better if we take it to the max. An evening of demanding just a little bit more from each other. More emotion, more stuff, more Irish nun action. Whatever it is, we want MOAR. More fun. 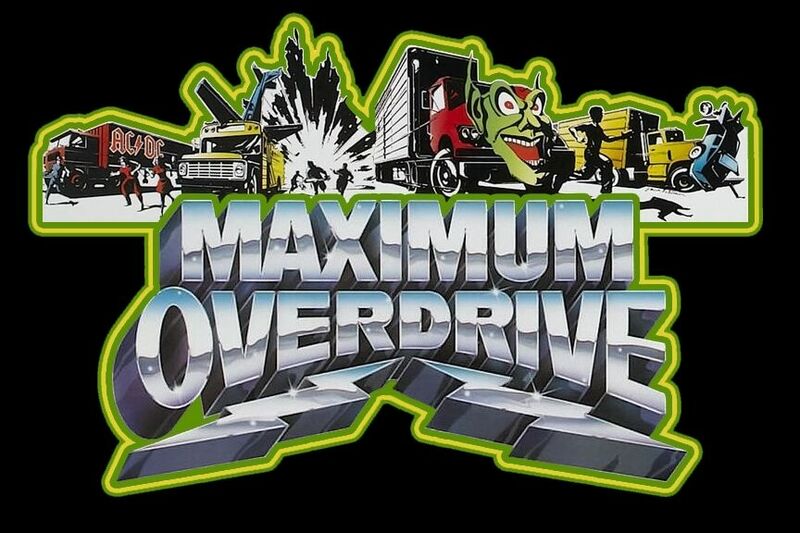 Also, watch the trailer for the marvellous Maximum Overdrive to learn what it is to take a film to the max. Then do that on stage.